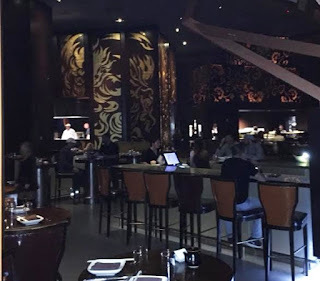 The last time we tried to get into Izakaya, the Japanese pub at the Borgata in Atlantic City (1 Borgata Way, 609-317-1000), was at the end of the summer, when the wait was over two hours long. 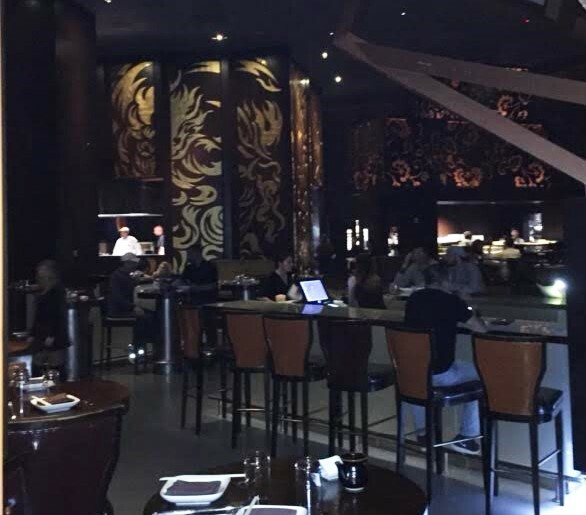 We ended up that night eating at the hotel at the more casual Metropolitan - which, on account of the service, I don't recommend. Taking advantage of the magnificent late spring-like weather this past weekend, we spent a few hours in Atlantic City to celebrate our teenage son's birthday. His restaurant of choice: Izakaya. This time, we made a reservation earlier that day and were seated without a wait. 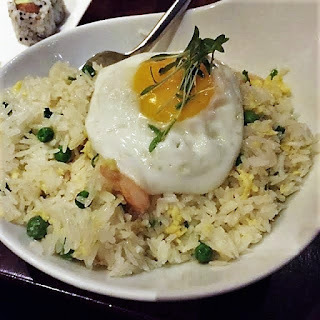 Izakaya's executive chef, Michael Schulson, also runs Center City Philadelphia's Sampan, another gluten-free-friendly Asian spot. Like his sister restaurant, the New Jersey outpost also specializes in Asian tapas. 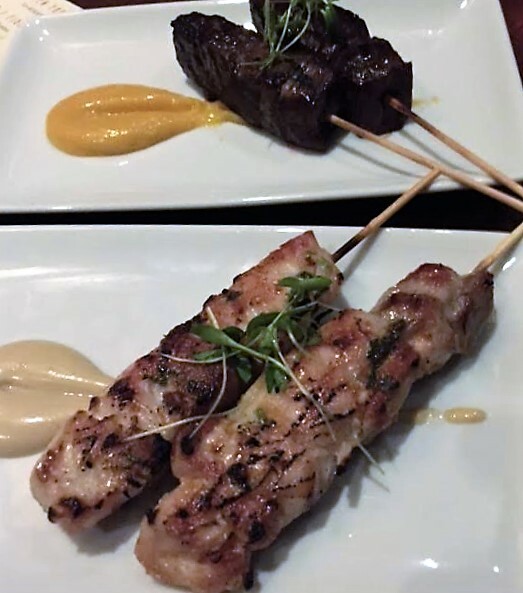 Like many tapas-style restaurants, the plates are brought to the table as soon as they are prepared, so there's no particular order of courses. The gluten-free menu at Izakaya is diverse, We ordered an array of small plates - from edamame to robatayaki (grilled skewers) of Wagyu beef, chicken and Maine lobster - all excellent. 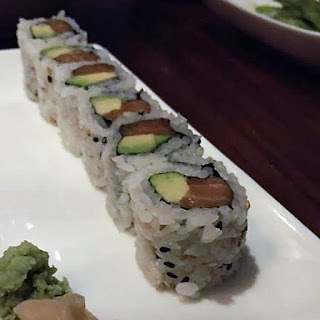 Our teen had to himself the freshly prepared salmon avocado roll, served with Kari-Out gluten-free soy sauce, while we shared two orders of shrimp fried rice. Our server demonstrated familiarity with the pub's gluten-free menu and we felt comfortable with the food preparation. While Izakaya's main options are plenty, there are no gluten-free dessert choices. We finished our culinary tour at fondue restaurant The Melting Pot (2112 Atlantic Ave., 609-441-1100). We opted for a table with double burners so that our teen could have his own dipping pot of creamy, melted milk chocolate without worrying about cross-contact. The chain no longer has gluten-free cake and brownies, but he nonetheless was able to dip marshmallows and a variety of sliced fruits. The sweet ending was a balanced complement to our savory dinner.